A leading online destination for horse racing wagering, the free TwinSpires mobile app promises customers the opportunity to bet on racing action from around the world on an anytime, anywhere basis. While this promise is, for the most part, upheld, the TwinSpires app does come up short in areas that one would expect a betting brand of its caliber to thrive in. Here, we’ll take a look at the both the positives and negatives of the TwinSpires mobile betting experience. Click the button above and follow the simple prompts to install the application on your phone. Twinspires app can only be downloaded by TwinSpires customers. If you want to download the TwinSpires app, first you'll need to sign up with the company, which entails an identity verification process. The TwinSpires mobile app is unfortunately only available to iOS users. So, while those with an iPhone or Apple tablet can easily download the app for free via the aforementioned method, Android users are left out in the cold. TwinSpires does make up for this somewhat, offering Android fans access to the mobile version of the site via the internet browser on their phones or tablets. This TwinSpires mobile version can be accessed via www.m.twinspires.com, and contains the same interface and functionality of the iOS app. Still, the fact that a leading brand fails to offer its app across all operating systems is a major shortcoming. TwinSpires offers a $100 sign-up bonus to new customers, but has no specific bonuses to reward customers for downloading the app. In order to be eligible for the sign-up bonus, customers must wager $500 within 30 days of signing up, after which they receive $100. A high Terms & Conditions barrier-of-entry for some customers. While the total bonus amount is indeed tempting, the amount that needs to be wagered is very high, requiring customers to put a lot of their own money on the line within a relatively short period to earn the bonus. Additionally, the bonus can take up to 10 business days to reach the customer’s account after they have fulfilled the wagering requirements. Complementing its sign-up bonus, TwinSpires offers a host of promotions on wagers placed at certain race tracks on specific race days. For example, customers who wager on any Delta Downs meets receive a 15% bonus, up to $500, on every winning daily double ticket they cash. 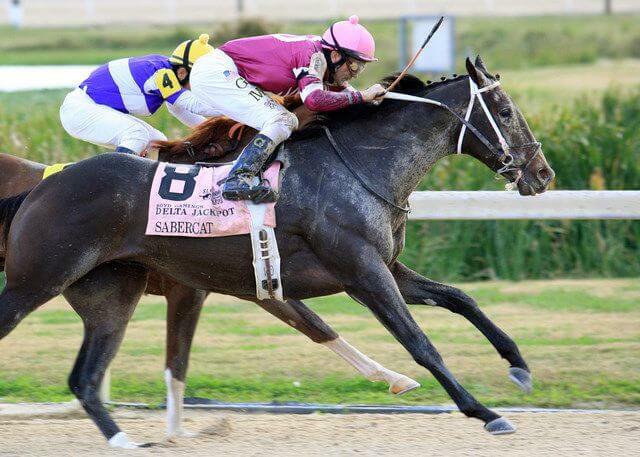 Similarly, using the company’s TSC Elite rewards points system, whereby rewards points are earned per bet and then exchanged for wagering credit, players earn 30 points for every dollar wagered on Thursdays at Fair Grounds, if they record $10 or more of gross winnings on the card that day. Again, the absence of a mobile-specific promotion among the company’s various offers is a blemish on the overall Twinspires mobile experience. There are plenty of positives about the TwinSpires app, most of which center around the user experience and functionality. An intuitive menu is efficient at taking bettors to different race cards and corresponding markets, while the process of placing wagers through the app is equally well structured, with bettors able to construct multi-leg wagers without having to toggle between screens. The TwinspiresTV module is integrated in the app, allowing users to consult a comprehensive race replay library, which can be easily searched by date, horse or racetrack. Bettors using Twinspires mobile are also treated to free handicapping information, which is complemented with free analysis and expert picks, and can be sent as notifications. All of these services are neatly packaged into a fast and reliable app that has a compelling look and feel. Placing wagers through the Twinspires app is quick and easy. Players simply log in through their i-Phone or tablet, and click the ‘Live Races’ tab to view upcoming race information. 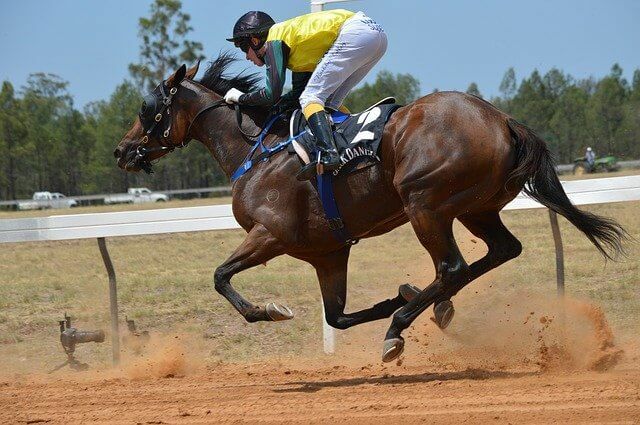 Markets can also be found by conducting a search for a specific race track, horse or jockey, while the results tab lists the latest information from completed events. When a selection is made, the innovative wager pad allows players to keep scrolling through markets without losing sight of their bet slip, an efficient means through which to compile multi-leg wagers. Additional services, such as handicapping information and video replays, can be found through the main menu. Handicapping tips, breaking news and new promotion details can also be delivered to Twinspires mobile users in the form of notifications, which can easily be turned on or off. How can I make deposits and withdrawals? The simplest way to fund or withdraw from an account through Twinspires mobile is by using the EZmoney deposit and withdrawal feature, a free, safe and secure service that transfers funds electronically from the customer’s bank account into their Twinspires account, and vice versa. Both the ‘Add Funds’ and ‘Withdraw’ tabs are clearly listed on the main interface of the app. The Twinspires app contains a clearly visible ‘Contact Us’ tab that lists the various contact methods through which the players support team can be reach. For email queries, customers can send an email to [email protected] and expect a reply within 24-48 hours. A live chat feature is also offered through the app. In conducting this review, we found contacting Twinspires directly on 877-774-7371 was the most prompt manner through which to get support. Below, we list what aspects of the Twinspires mobile betting experience caught our eye, and what areas need improvement. To read a full and comprehensive review on betting with Twinspires, visit our dedicated Twinspires review page.